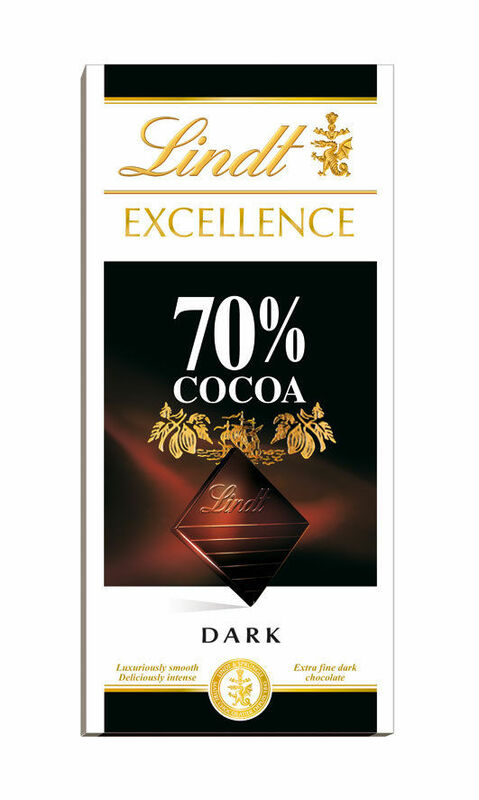 Excellence 70% Cacao is a highly refined, delicately fragrant, and smooth dark chocolate, which has a strong but not too intense, cocoa flavour with subtle fruit and floral undertones and hints of natural vanilla. A full-bodied dark chocolate, masterfully balanced with bittersweet undertones. Ingredients: Cacao solids: 70% minimum, Cocoa mass, sugar, cocoa butter, natural bourbon vanilla beans.